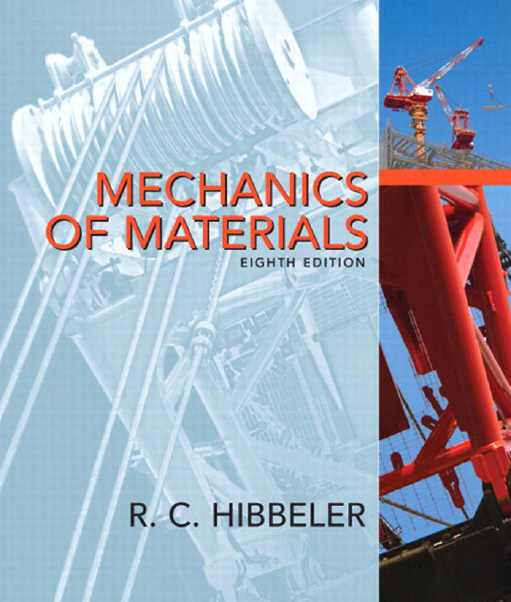 Mechanics of materials is a branch of mechanics that studies the internal effects of stress and strain in a solid body that is subjected to an external loading. Stress is associated with the strength of the material from which the body is made, while strain is a measure of the deformation of the body. In addition to this, mechanics of materials includes the study of the body’s stability when a body such as a column is subjected to compressive loading.A thorough understanding of the fundamentals of this subject is of vital importance because many of the formulas and rules of design cited in engineering codes are based upon the principles of this subject. mathematical and computer techniques to solve more complex problems. As a result, this subject expanded into other areas of mechanics, such as the theory of elasticity and the theory of plasticity. Research in these fields is ongoing, in order to meet the demands for solving more advanced problems in engineering. 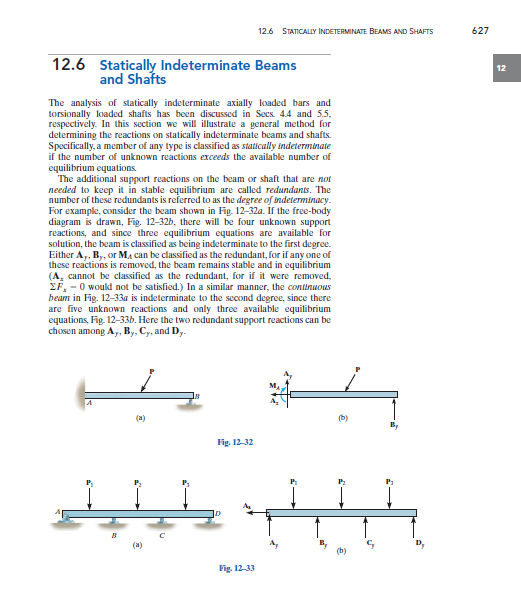 Since statics has an important role in both the development and application of mechanics of materials, it is very important to have a good grasp of its fundamentals. 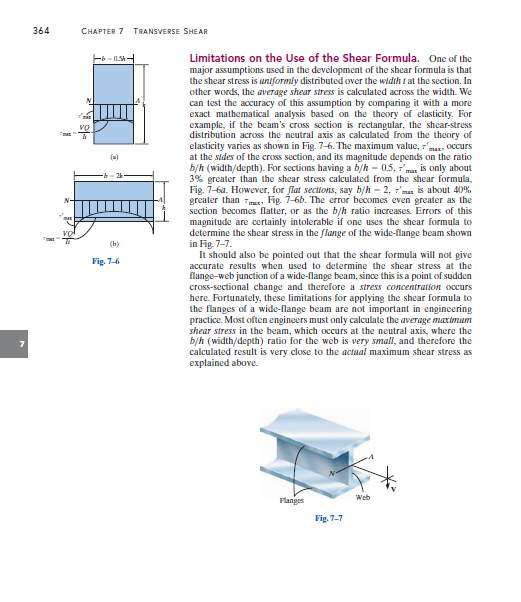 For this reason we will review some of the main principles of statics that will be used throughout the text. External Loads. A body is subjected to only two types of external loads; namely, surface forces or body forces. Surface Forces : Surface forces are caused by the direct contact of one body with the surface of another. In all cases these forces are distributed over the area of contact between the bodies. If this area is small in comparison with the total surface area of the body, then the surface force can be idealized as a single concentrated force, which is applied to a point on the body. For example, the force of the ground on the wheels of a bicycle can be considered as a concentrated force. If the surface loading is applied along a narrow strip of area, the loading can be idealized as a linear distributed load, w(s). Here the loading is measured as having an intensity of force/length along the strip and is represented graphically by a series of arrows along the line s. The resultant force of w(s) is equivalent to the area under the distributed loading curve, and this resultant acts through the centroid C or geometric center of this area. The loading along the length of a beam is a typical example of where this idealization is often applied. problems, i.e., bodies subjected to co-planar force systems, the supports most commonly encountered are shown. Note carefully the symbol used to represent each support and the type of reactions it exerts on its contacting member. As a general rule, if the support prevents translation in a given direction, then a force must be developed on the member in that direction. Likewise, if rotation is prevented, a couple moment must be exerted on the member. For example, the roller support only prevents translation perpendicular or normal to the surface. Hence, the roller exerts a normal force F on the member at its point of contact. Since the member can freely rotate about the roller, a couple moment cannot be developed on the member. Mechanics of materials is a study of the relationship between the external loads applied to a body and the stress and strain caused by the internal loads within the body. External forces can be applied to a body as distributed or concentrated surface loadings, or as body forces that act throughout the volume of the body. Linear distributed loadings produce a resultant force having a magnitude equal to the area under the load diagram, and having a location that passes through the centroid of this area. A support produces a force in a particular direction on its attached member if it prevents translation of the member in that direction, and it produces a couple moment on the member if it prevents rotation. The equations of equilibrium and must be satisfied in order to prevent a body from translating with accelerated motion and from rotating. When applying the equations of equilibrium, it is important to first draw the free-body diagram for the body in order to account for all the terms in the equations. The method of sections is used to determine the internal resultant loadings acting on the surface of the sectioned body. 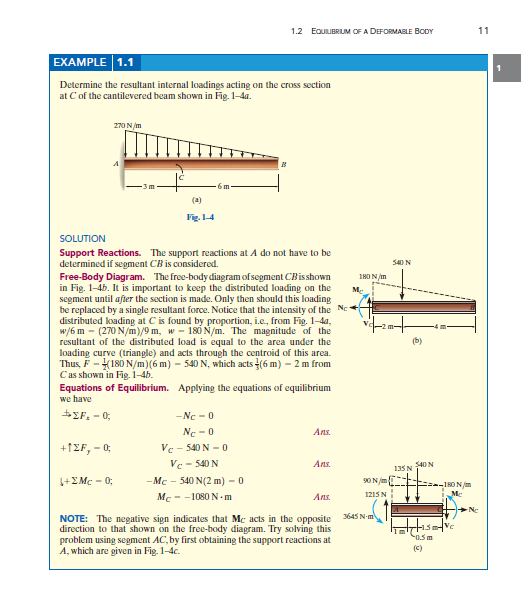 In general, these resultants consist of a normal force, shear force, torsional moment, and bending moment. The resultant internal loadings at a point located on the section of a body can be obtained using the method of sections. This requires the following steps. Support Reactions : First decide which segment of the body is to be considered. If the segment has a support or connection to another body, then before the body is sectioned, it will be necessary to determine the reactions acting on the chosen segment.To do this draw the freebody diagram of the entire body and then apply the necessary equations of equilibrium to obtain these reactions. Free-Body Diagram : Keep all external distributed loadings, couple moments, torques, and forces in their exact locations, before passing an imaginary section through the body at the point where the resultant internal loadings are to be determined. Draw a free-body diagram of one of the “cut” segments and indicate the unknown resultants N, V, M, and T at the section. These resultants are normally placed at the point representing the geometric center or centroid of the sectioned area. If the member is subjected to a coplanar system of forces, only N, V, and M act at the centroid. Establish the x, y, z coordinate axes with origin at the centroid and show the resultant internal loadings acting along the axes. Equations of Equilibrium. Moments should be summed at the section, about each of the coordinate axes where the resultants act. Doing this eliminates the unknown forces N and V and allows a direct solution for M (and T). If the solution of the equilibrium equations yields a negative value for a resultant, the assumed directional sense of the resultant is opposite to that shown on the free-body diagram. Whenever a force is applied to a body, it will tend to change the body’s shape and size. These changes are referred to as deformation, and they may be either highly visible or practically unnoticeable. For example, a rubber band will undergo a very large deformation when stretched, whereas only slight deformations of structural members occur when a building is occupied by people walking about. Deformation of a body can also occur when the temperature of the body is changed. A typical example is the thermal expansion or contraction of a roof caused by the weather. In a general sense, the deformation of a body will not be uniform throughout its volume, and so the change in geometry of any line segment within the body may vary substantially along its length. Hence, to study deformational changes in a more uniform manner, we will consider line segments that are very short and located in the neighborhood of a point. Realize, however, that these changes will also depend on the orientation of the line segment at the point. For example, a line segment may elongate if it is oriented in one direction, whereas it may contract if it is oriented in another direction. Strain : In order to describe the deformation of a body by changes in length of line segments and the changes in the angles between them, we will develop the concept of strain. 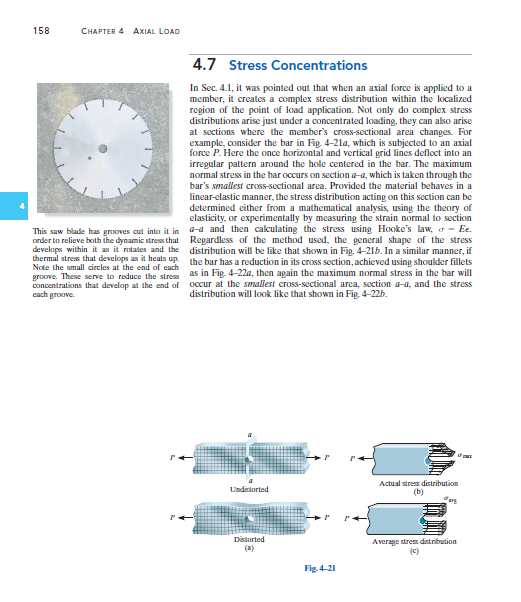 Strain is actually measured by experiments, and once the strain is obtained, it will be shown in the next chapter how it can be related to the stress acting within the body. a means of measuring a body’s deformation. We have also shown that the mathematical relationship between stress and strain depends on the type of material from which the body is made. In particular, if the material behaves in a linear elastic manner, then Hooke’s law applies, and there is a proportional relationship between stress and strain. radial lines remain straight during the deformation. From these observations we can assume that if the angle of twist is small, the length of the shaft and its radius will remain unchanged. Angle of Twist : Occasionally the design of a shaft depends on restricting the amount of rotation or twist that may occur when the shaft is subjected to a torque. Furthermore, being able to compute the angle of twist for a shaft is important when analyzing the reactions on statically indeterminate shafts. Critical Load : Whenever a member is designed, it is necessary that it satisfy specific strength, deflection, and stability requirements. In the preceding chapters we have discussed some of the methods used to determine a member’s strength and deflection, while assuming that the member was always in stable equilibrium. Some members, however, may be subjected to compressive loadings, and if these members are long and slender the loading may be large enough to cause the member to deflect laterally or sidesway. To be specific, long slender members subjected to an axial compressive force are called columns, and the lateral deflection that occurs is called buckling. Quite often the buckling of a column can lead to a sudden and dramatic failure of a structure or mechanism, and as a result, special attention must be given to the design of columns so that they can safely support their intended loadings without buckling. Could you send me this book to knippiefication@gmail.com please?